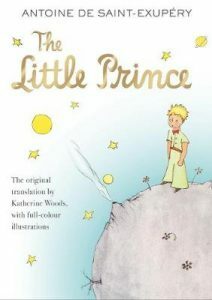 The Little Prince is a fantasy science-fiction novel written by the French author, poet and aviator Antoine de Saint-Exupéry and was first published in 1943. The novel is presented in the form of a parable or fable in which many creatures and animals are given the power and wisdom to speak and reveal important messages regarding society and the world. The story is narrated by The Pilot who after crashing his plane in the Sahara desert, encounter The Little Prince. As they both navigate for their survival in the desert, The Little Prince takes The Pilot as well as the readers on a journey throughout time and shares many valuable lessons based on his own empirical knowledge and exploration. The majority of the novel consists of The Little Prince telling stories of his own planet as well as many different planets he had visited and the odd inhabitants that he had encountered. But most of all, he shares his story of the fox who taught him a valuable lesson of love, friendship and relationships as well as seeing beyond the surface of things. The novel is presented as though a fairytale with many illustrations that Saint- Exupéry drew himself. That being said, it is in fact meant for children and adults alike to make of it what they will. The novel satirizes the vain and power-hungry nature of grownups who are devoid of imagination and sentiment and only see things in a narrow, materialistic point of view in contrast with children who see with their hearts and not with their eyes.